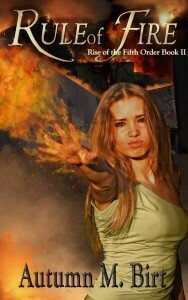 Here is the amazing cover for Reavers of the Tempest from my awesome artists, Steam Powered Studios! Pirates rampage across the skies! 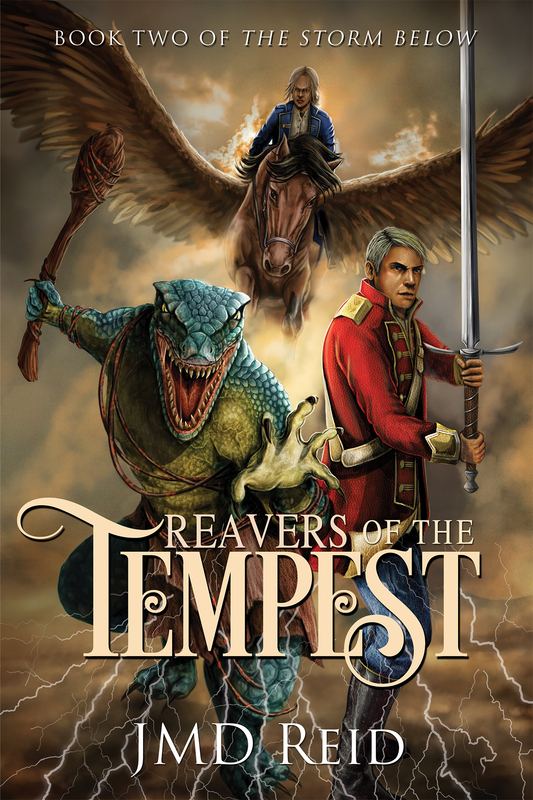 You have to read this epic, action-packed fantasy novel as the Reavers of the Tempest ravage across the Storm! To save the skies, Ary must die! If you love the works of Brandon Sanderson, Robert Jordan, George R.R. Martin, R. Scott Bakker, and Steven Erikson, then check out my first ever Fantasy novel! You do not want to miss out on this awesome adventure! You can buy or burrow Above the Storm today! If you want to stay informed on my writing, sign up for my newsletter and receive a free fantasy story! So, you’re probably wondering, who is this JMD Reid and why am I receiving a newsletter from him. Or maybe you do remember me. It’s been a long time since I sent a newsletter. If you’re getting his, then you must have signed up to hear about my works for some reason. Maybe you liked my short stories on Amazon (The Assassin’s Remorse, Reflections of Eternity, or Time’s Prison). Or maybe you found my blog and liked my articles on writing. Or maybe you don’t know how you signed up for my newsletter. Either way, I hope you all stick around. I am working on getting my first fantasy series published. 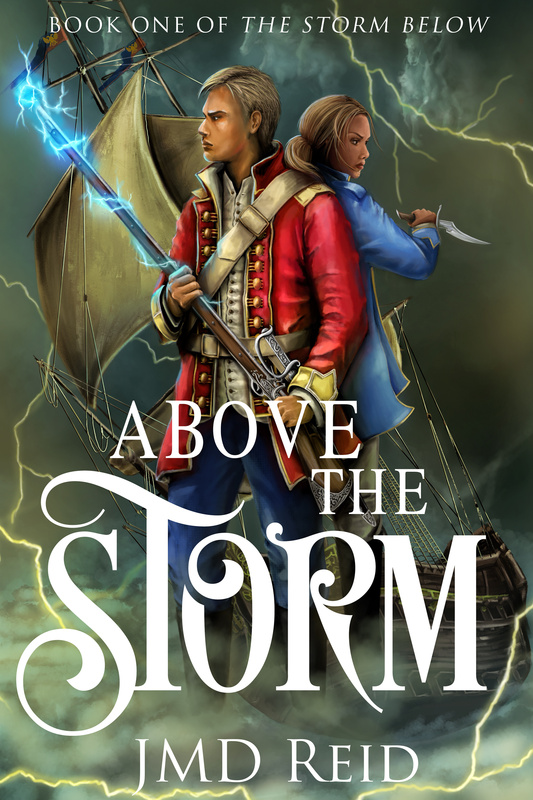 It’s not going to be soon, sadly, but when I do release the five book epic The Storm Below (hopefully in 2018), they will come out fast. I want to get all of the books out in a quick time. I want to hit the indie publishing scene hard. And I hope you all will make the journey with me. But first, here’s the opportunity to be a beta reader on my new short story! If you’re interested, click here! So who am I? Why should you journey with me? What do I bring to the table? I hope it’s great characters, great writing, and imaginative stories. I could talk on and on about what I feel are my strengths as a writer, but who likes hearing about people talk about how amazing they are? I know I don’t. Instead, I wanted to talk about myself. To share who I am with you. I want to build a community where I interact with my fans. Because fans are what makes writing so amazing. To share your work with others and to learn people enjoy what you’ve written. It touches you in so many ways. So who is JMD Reid? He’s a community college dropout. Yep, I didn’t even dropout of four year college. Nope, I “attended” Green River Community College for two years. Well, I paid to attend, but I didn’t end up going that much. I tried, I really did, but I just wasn’t motivated. I always wanted to be a writer. It wasn’t the first job I ever wanted as a child, that was a paleontologist (and, yes, I owned all the dinosaur books when I was in elementary school). But as I grew older and headed into Junior High, I started writing at school. I’d pull out my spiral bound notebook and write the most terrible pieces of fiction ever composed by human beings. I was inspired by the books I’d read. Tolkien was the beginning, but Eddings and Jordan and Brooks followed. The writing duo of Weis & Hickman fanned the flames of my imagination. I would go to my library and grab any Fantasy novel they had. I would read it all. As I went through high school, I kept writing. I dreamed of being a writer, of having my book published. So what did I do when it came time to think about college? Did I look at schools that had an amazing English or Creative Writing program. Nope? I decided to go to Green River Community College. I didn’t pluck this school out of nowhere. It wasn’t the closest Community College to me (that was Pierce Community College Puyallup campus). But it had a great drafting program. Drafting? You’re probably scratching your head. What is drafting? Why would a young man who wanted nothing more than to be a writer decide to go to a community college to be a drafter? Well, drafting is the skill of making blueprints. Whether it’s the blueprint for the very laptop I’m writing this newsletter on, the engine in your car, or the architectural plans for Sears Tower, a drafter had to draw out those plans. At first they did it by hand, but these days they do it on CAD (Computer Aided Drafting) programs like Cadkey or AutoCAD. I liked it. I thought it could make a career out of it. Even though I really, really wanted to be a writer, I just didn’t think I would ever make it. I sabotaged myself. And that is exactly why I dropped out of Community College. You see, I was working at evenings and going to school during the day. I was bored at school. I find sitting down and being lectured to very boring. Teachers often repeat themselves and my classmates were asking questions on things I found so intuitively obvious or that the teacher had easily explained ten minutes earlier. I chafed. I wanted to be doing something. And even though I could have used my Associate Degree in Mechanical Drafting to transfer to a four year college and get a Masters in Engineering, I instead wanted to play video games. It was easier. It was more fun. It didn’t take any skill. Instead of pursing my real dream, which I was afraid of, or my backup dream, which was two hard, I settled into menial jobs so I could just screw around and not care about life. That desire to self-sabotage lurks in me. 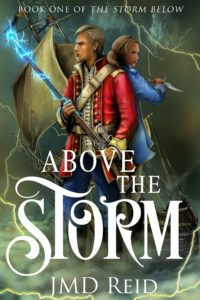 I’ve put off publishing Above the Storm for years now. I’ve come up with all sorts of excuses: I’m going through the query process, I’ll write the entire series and then get to it, I’ll try this new marketing technique of rapid releases. I’ll be honest with you. I’m scared to release this book. But I’m trying so hard not to sabotage myself. I believe in Above the Storm. I believe in the story, the characters, and I believe that you (what few people will read this) will fall in love with it. That is why I want you to make this journey with me. I want to build a community, to create opportunities for my fans to receive ARCs (Advance Reader Copies) of my novels and to find beta readers to help me hone my stories and improve them. If you’d like to join my Facebook group, Fantastic Worlds of the Imagination, and help support my writing, click here! So I hope you’ll make this journey with me. Stick around, I’m publishing short stories throughout 2018, I have my Urban Fantasy novel, Chooser of the Slain, coming to the Radish app for serialized publication, and I’ll be posting excerpts from my works (like the Prologue to Above the Storm just below). I am founding a Facebook group as a place for exciting works of fantasy to be discussed and shared, a place where I can interact with my fans and we can talk about things that interest us. And I would love just to hear back from you. Ask me questions. I will be more than happy to answer them. I want to get to know you, too. So I fully expected to upload Chapter 22 today. However, this chapter is proving longer than any other in the book. Normally, it takes me two Sundays to get through a chapter. Today was Sunday number three and I still have more of the chapter to get through. I will finish it next Sunday and get it uploaded. Voramis is a city where every vice can be experienced and every sin indulged. In the dirty back alleys where the beggars eek out a painful existence and the perfumed corridors of the nobility stalks the Hunter. An assassin so feared, whispers of his almost demonic powers are heard in every alehouse and whorehouse. The Hunter is a man without a past. The first thing he remembers is walking into Voarmis already carrying his dreaded dagger—Soulhunter. The dagger whispers in the Hunter’s mind, begging him to kill. His soul drenched in blood, the Hunter struggles to keep whatever threads of his humanity he can. Everything changes when the Hunter kills a noble in bed with the Bloody Hand, the powerful syndicate that controls crime of Voramis from the shadows. The Bloody Hand are tired of the Hunter’s interference. They want to make an example of the rogue Hunter and show the citizens of Voramis just who controls the city. And those the Hunter care for will pay for his mistakes. 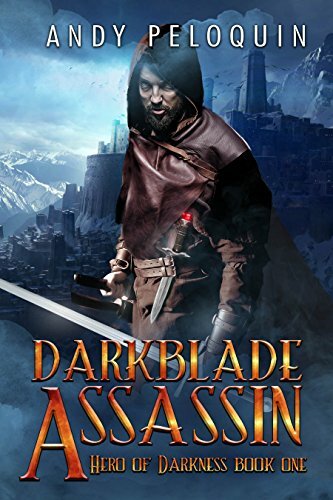 Darkblade Assassin is a fast paced, dark tale of revenge and redemption. The world the Hunter lives in is stained with filth, but moments of beauty emerge, whether its the orphan girl pushing her wheelbarrow of flowers or a young mother holding her child. Andy Peloquin keeps you reading the the hurtling plot, adding twists and turns as the Hunter carves a bloody path through the city. The Hunter is a fascinating character. A man of with a thirst for blood that wars against his own nature at all turns. He exists only as a series of disguises, never letting even those he cares for to see who he truly is. His desire to protect the unfortunate dregs of Voramis is at odds with his dark soul. If you’re a fan grimdark fantasy or just an exciting, fast-paced plot you’ll enjoy the dark world of the Darkblade Assassin! I was given an ARC copy in exchange for an honest review. You can buy Darkblade Assassin from Amazon. Check out Andy Peloquin’s website, connect on Linked In, follow him on Google Plus, like him on Twitter @AndyPeloquin, and like him on Facebook. The curse has been defeated. Ria, Niri, Ty, Liviana and there new allies Darag and Zhao can finally stop running. But now what do they do? They have escaped the Church’s wrath, defeated its most powerful creation: the curse. The curse had once been a man, and thanks to Ria’s powers, he has regained his human form. But he possesses none of his memories. Ria is desperate to understand her strange powers, and the only other man who can help her has no memories. And in the ruins of the Temple of Dust, Sinnika, a High Priest and Fire Elemental of the church, is rescued from the prison Niri left him in. Sinnika burns to get revenge on his once pupil. Rule of Fire is a great followup to Born of Water. Autumn nurtures the seeds the last book planted, the secrets buried in the past sprouting and are revealed to the light of day. Questions are answered, mysterious are solved, and a new war brews, sparked by the decisions of our heroes as they search for the answers they need to find peace. The characters soon begin splitting up. The flight from the Church and its Curse was what kept them together, now other concerns move them. Niri has promised Kalila, the former Curse, that she would help him find his people. Once again, the magic shines in this book. Autumn is always finding new ways to weave the magic into her action scenes. There are some tense moments in the middle part of the book as characters sneak through places they shouldn’t be, and Sinnika only grows as a more disgusting villain as the book grows. If you read Born of Water and loved it, then you’ll find Rule of Fire even more satisfying, building on the solid foundation of book one. I’m excited to start Spirit of Law and find out how this story ends! You can pick up Rule of Fire from Amazon.